age-range 10+ 'The day after I moved to the city I saw the fox. He was wrapped round the neck of a man, his red brush of a tail hanging down one side, his little head with its bright eyes on the other side. And the eyes were watching me - he was a living scarf!' Gerard is new to the city and new to his school. He is not getting on well at school and spends much time on his bike exploring his new neighbourhood. By chance he comes across a homeless man - and his live, pet fox. 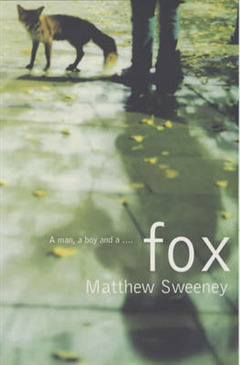 Gradually the man, boy and fox strike up a friendship, and Gerard finds he has much to learn from the man on the street. A touching, moving story about a boy learning more about the world - and growing up.